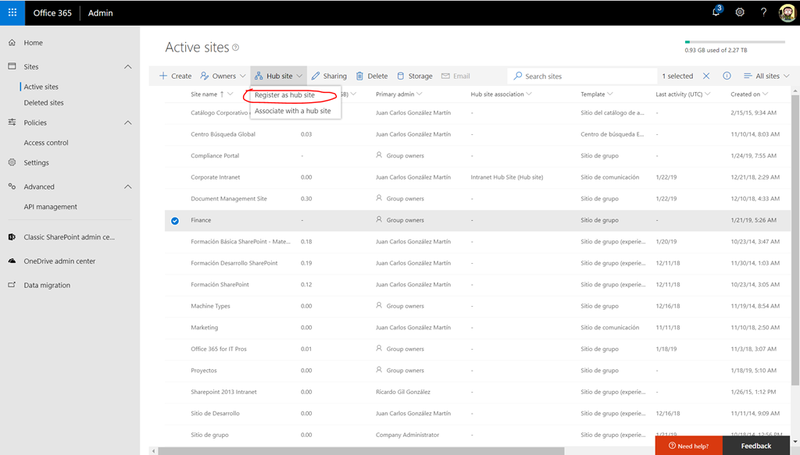 Office 365: How to create a Site Hub in the new SPO Admin Center (I)! 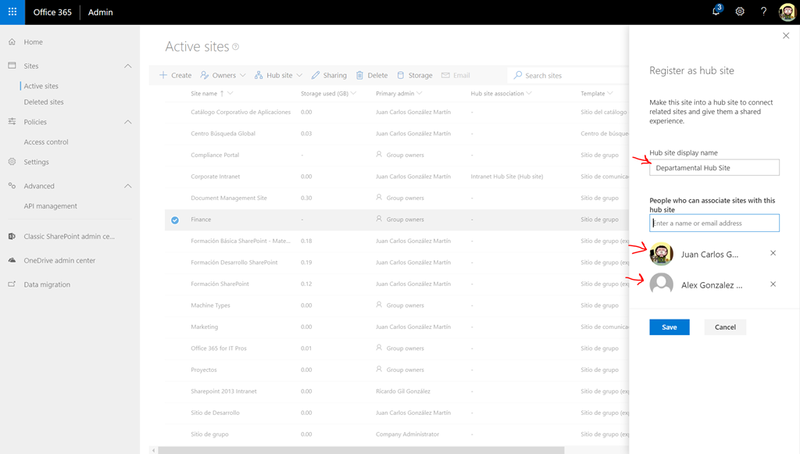 Once you click on that option, you have to type the Hub name and also the users that will be able to associate any other site to the Hub. When you are ready, just click on “Save”.